It is truly sad that the train wreck that is Amy Winehouse is more and more famous by the day while Sharon Jones is still relatively obscure. In fact, Winehouse enlisted Jones' backing band, the fabulous Dap Kings, for her past tour. 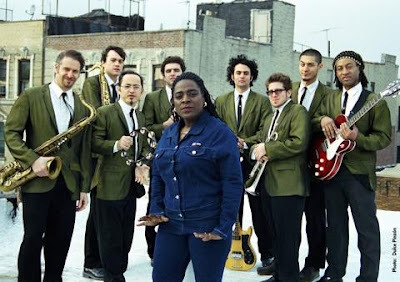 Sharon Jones' voice is reminiscent of the classic Motown sound and the Dap Kings talents possibly exceed the session bands from that era as well. This is a live show that is not to be missed!